Bowling is popular sport around the world for good reason. It offers both a relaxing and enjoyable experience, while also being a competitive sport. It has some tremendous advantages that make is a great sport for families. Bowling is a great sport for individuals of all ages and can even be participated in by disabled persons. Nearly all bowling alleys have lanes with rails for young children and for disabled players, and also have other aides like bowling ball rollers and balls that are lighter than the standard types. This makes it a great family sport as your little ones, you, your grandparents and members of all generations can have fun together without it being difficult or inappropriate. The nature of bowling makes it a great bonding sport for families. It is a fun activity that is at a good pace that facilitates conversation and is, during different times of the day and the week, not too loud or crowded to hinder talking or connecting. It also has the significant advantage of breaking up the intensity of a conversation. For example, a father who wants to talk to his son about a difficult or awkward topic can chose to do so during a leisurely game at a quieter time at a local alley. This method is extremely effective as it breaks up intense moments, lets the son channel his energy positively rather than sitting inactively and listening, fosters a sense of bonding through the discussion as the father and son and can be labeled casually as a father and son chat during a game rather than an ominous father and son talk. 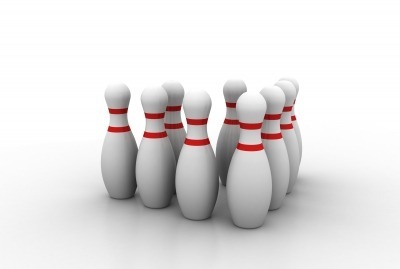 Bowling is one of the special sports that can be played individually or as part of a team. This has tremendous values in allowing both young and old to learn how to compete as an individual or to be a team player. This is an important life skill to develop, working alone or working with a team to achieve a common goal. It can also add to family bonding when parents play against their kids, fathers and sons play against their mothers and daughters, families compete against other families and so on. Bowling is a tremendous way to develop hand eye coordination by accurately aiming the bowling ball to hit the bowling pins. It can help children from a very young age to older children and adults hone this important skill and extend to other areas in life. Bowling is a popular sport that is available in nearly every city nationwide. You don’t need to fly to another city or drive for hours to enjoy this fun sport with your family. You can also buy seasonal passes to some bowling alleys or get discounts for going frequently. Bowling will be available no matter where you live or move to. Whether your child is a rebellious rock playing teen or a quiet book wormish type, there is a bowling environment out there to pique their interest. In the past years, bowling alleys have chosen to remain conventional to cater to an older or very young population, or have painted their walls in florescent colors, cranked up the rock music and stuck a bowling ball right in the center of their ceiling for a loud and vibrant teen population. 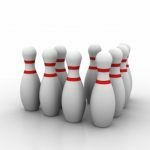 If you want to interest your child in going bowling, consider their personality and the environment they would feel comfortable in before you head out to the nearest alley. It will make a significant difference in whether they enjoy the experience or are bored or intimidated by it. Once your child gets into the sport, there are some fun ways to encourage their enthusiasm and keep him or her excited. From personal balls engraved with their name, to bowling shoes in their favorite colors, to family traditions of ice cream after bowling games and so on, these are all great ways to make bowling a personal and family favorite for all. Another advantage of bowling is that you can get better at it by repeatedly practicing the sport. This builds in both young and old the principle of perseverance and is very self gratifying for all when there is improvement that is seen by others and applauded. It can build self esteem, help parents encourage their kids to try harder and praise them for trying whether they do well or need improvement. Parents can also be a positive example to their children by persisting through a bad stretch, working repeatedly on getting better, being a good team player or winning and losing with good sportsmanship.